With the gift of Jesus comes an awesome responsibility: we must listen, follow, and honor him! 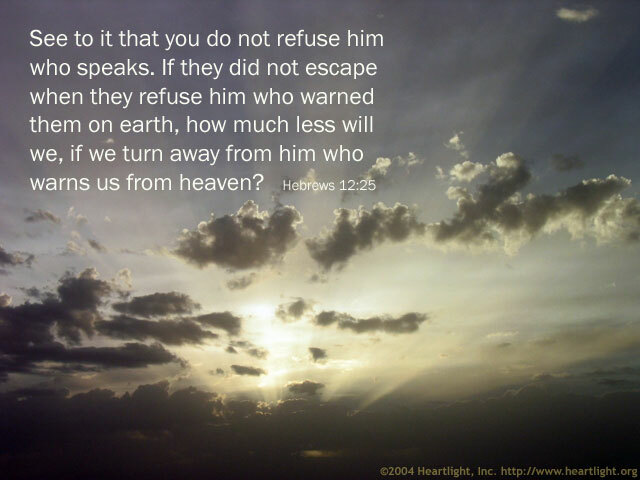 If God demanded that his people obey his lesser messengers who were prophets or kings, what do you think the responsibility is for us to listen when he has emptied heaven of his Son's glory so that it might shine on us? Thank you, dear Father, for sending your Son and my Savior, Jesus. Please, dear LORD, I do not want to ever take that gift for granted. Please empower me and give me wisdom so that I can faithfully listen and serve Jesus, in whose name I pray. Amen.